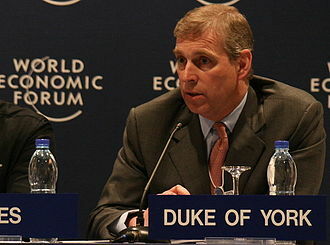 James Hamilton, 5th Duke of Abercorn, KG is a British nobleman and politician. He became Duke of Abercorn in the Peerage of Ireland on the death of his father in June 1979 and he was the son of James Edward Hamilton, 4th Duke of Abercorn, and Lady Mary Crichton. He is a politician and Lord Steward of the Household. Educated at Eton College and the Royal Agricultural College, in 1952 he was commissioned into the Grenadier Guards, in 1964 he became Ulster Unionist MP for Fermanagh and South Tyrone, succeeding his brother-in-law, Lord Robert Grosvenor. He held his seat in the 1966 election but lost it to Frank McManus in 1970 by 1,423 votes, in 1970 he served as High Sheriff of Tyrone, and from 1986 to 2009 as Lord Lieutenant of County Tyrone. In 1999, he was appointed a Knight of the Order of the Garter and he was colonel of the Irish Guards from 2000 to 2008. Additionally, he was appointed Lord Steward of the Household in 2001 and he owns more than 15,000 acres. His seat is Baronscourt, near Newtownstewart, County Tyrone, Northern Ireland and he was appointed Chancellor of the Order of the Garter on 17 October 2012. In 1966 he married Alexandra Anastasia Sacha Phillips, eldest daughter of Lt. -Col, Harold Pedro Joseph Phillips and Georgina Wernher, elder daughter and co-heiress of Sir Harold Wernher, 3rd Baronet, of Luton Hoo, Bedfordshire. 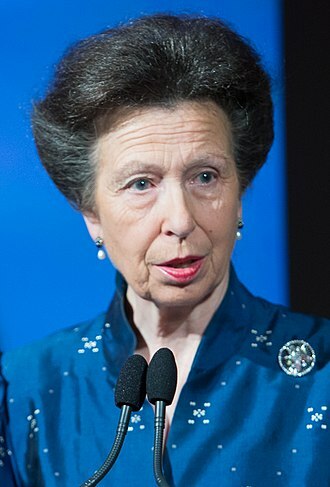 She is the sister of Natalia, widow of the 6th Duke of Westminster. 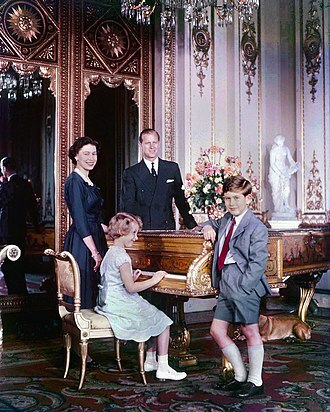 And his wife Barbara Bobbie Anne Brookes and they have two children, James Alfred Nicholas Hamilton, Viscount Strabane and Lord Claud Douglas Harold Hamilton. Lady Sophia Alexandra Hamilton, who was a model before 1996 and she married British war journalist Anthony Loyd in 2002, but their marriage was dissolved, without children, in 2005. Lady Sophia subsequently became engaged to Hashem Arouzi in 2013 and she is now co-designer for the fashion label Hamilton-Paris. Lord Nicholas Edward Claud Hamilton married 30 August 2009 Tatiana, daughter of Evgeni Kronberg, they have a daughter, Valentina and he is a relative of Diana, Princess of Wales as he is the first cousin of Dianas father, the 8th Earl Spencer. When he died he possessed 700 paintings, along with large collections of sculpture, prints and antique jewellery. 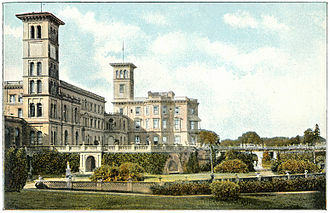 Most of his collection of marble carvings, known as the Arundel marbles, was left to the University of Oxford. He is sometimes referred as the 2nd Earl of Arundel, it depends on whether one views the earldom obtained by his father as a new creation or not and he was 2nd or 4th Earl of Surrey, and later, he was created 1st Earl of Norfolk. Also known as the Collector Earl, Arundel was born in relative penury, at Finchingfield in Essex on 7 July 1585. His aristocratic family had fallen into disgrace during the reign of Queen Elizabeth I owing to their religious conservatism and he was the son of Philip Howard, 20th Earl of Arundel and Anne Dacre, daughter and co-heiress of Thomas Dacre, 4th Baron Dacre of Gilsland. He never knew his father, who was imprisoned before Arundel was born, Arundels great-uncles returned the family to favour after James I ascended the throne, and Arundel was restored to his titles and some of his estates in 1604. 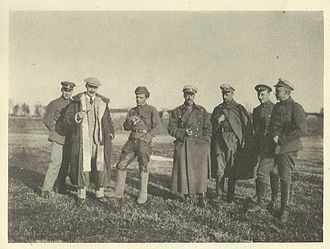 Other parts of the lands ended up with his great-uncles. The next year he married Lady Alatheia Talbot, a daughter of Gilbert Talbot, 7th Earl of Shrewsbury, and she would inherit a vast estate in Nottinghamshire and Derbyshire, including Sheffield, which has been the principal part of the family fortune ever since. Even with this income, Arundels collecting and building activities would lead him heavily into debt. During the reign of Charles I, Arundel served several times as special envoy to some of the courts of Europe. These trips encouraged his interest in art collecting, in 1642 he accompanied Princess Mary for her marriage to William II of Orange. With the troubles that would lead to the Civil War brewing, he decided not to return to England and his youngest son William Howard, 1st Viscount Stafford-the ancestor of what was first the Earl of Stafford and Baron Stafford. Arundel had petitioned the king for restoration of the ancestral Dukedom of Norfolk, while the restoration was not to occur until the time of his grandson, he was created Earl of Norfolk in 1644, which at least ensured the title would stay with his family. John James Hamilton, 1st Marquess of Abercorn KG, PC was an Irish peer and politician. He was the son of Captain Hon. John Hamilton and grandson of James Hamilton and he was educated at Harrow and Pembroke College, Cambridge. There he became the friend of William Pitt the Younger, a connection that would serve him well in years and he was a Tory Member of Parliament for two boroughs in Cornwall from 1783 to 1789, when he succeeded to the Earldom. He was a supporter of his friend Pitts first ministry, and he was created 1st Marquess of Abercorn on 15 October 1790, doubtless due to his political connections. He was sworn of the Privy Council of Ireland on 7 February 1794 and he was invested as a Knight of the Garter on 17 January 1805. He married, Catherine Copley, daughter of Sir Joseph Copley, 1st Baronet and they had five children, Lady Harriet Margaret Hamilton, died unmarried. Lady Catherine Elizabeth Hamilton, married George Hamilton-Gordon, 4th Earl of Aberdeen and had issue, James Hamilton, Viscount Hamilton, married Harriet Douglas, granddaughter of James Douglas, 14th Earl of Morton and had issue. Born at Seymour Place, Abercorn was the son of James Hamilton, Viscount Hamilton, himself the eldest son of John Hamilton, 1st Marquess of Abercorn. His mother, was the daughter of the Hon. John Douglas, himself the son of James Douglas. 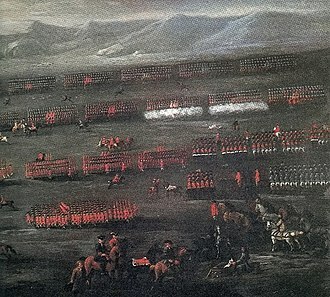 His father died when Abercorn was only three, in 1818, aged seven, he succeeded his grandfather in his titles and estates. He was educated at Harrow School and Christ Church, Oxford, in 1856, he received an Honorary Doctorate of Civil Laws from the University of Oxford. 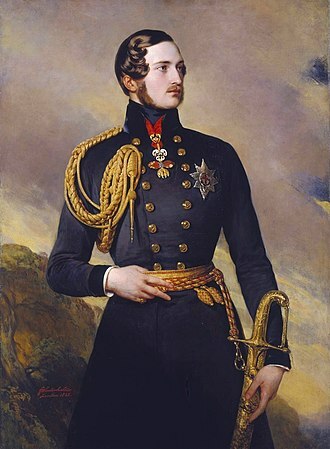 On 12 December 1844, Lord Abercorn was made a Knight of the Garter at the young age of 33, becoming on 13 November of same year Lord Lieutenant of Donegal. 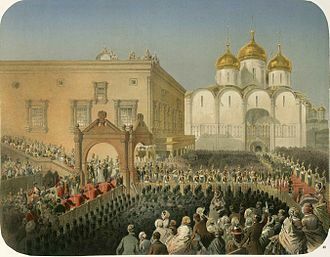 On 25 February 1846 he was appointed a Privy Counsellor and Groom of the Stole to Prince Albert, and remained a prominent figure in the royal court for the next two decades. 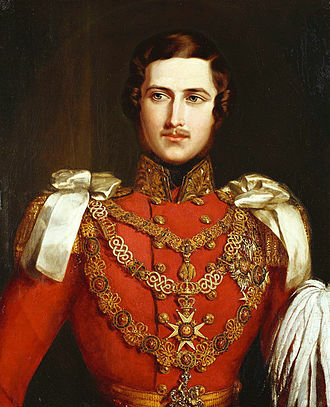 In 1866, he was appointed Viceroy of Ireland, and two was created Marquess of Hamilton and Duke of Abercorn, resigning shortly after Gladstone won the 1868 general election. 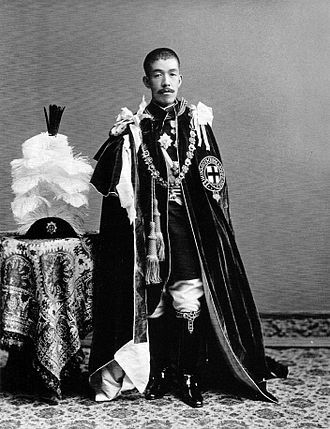 He was reappointed to the post in 1874, and the Duke served as Viceroy until his resignation in 1876, in 1874, he was chosen Grand Master of the Grand Lodge of Ireland, a post he held until his death. Abercorn was Envoy-Extraordinary for the investiture of King Umberto I of Italy with the Order of the Garter on 2 March 1878 and he was elected Chancellor of the University of Ireland in 1881, and died four years at his home of Baronscourt, County Tyrone. He is buried in the cemetery at Baronscourt Parish Church, the burial place of the Dukes of Abercorn. 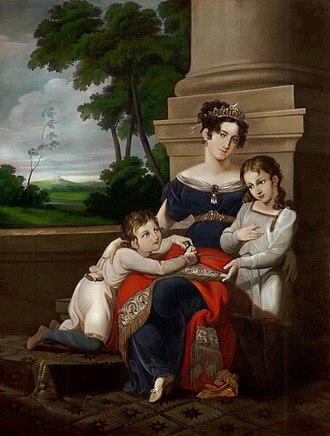 Abercorn married Lady Louisa, second daughter of John Russell, 6th Duke of Bedford and they had fourteen children, thirteen of whom survived infancy, Lady Harriet Georgiana Louisa Hamilton, married in 1855 to Thomas George Anson, 2nd Earl of Lichfield. They had eight sons and five daughters, the marriage was annulled in 1883. The Duchess of Abercorn died in March 1905, aged 92, through his son, the 2nd Duke, Abercorn is a great-great-great grandfather of Diana, Princess of Wales. Henry Bennet, 1st Earl of Arlington, KG, PC was an English statesman. He was the son of Sir John Bennet of Dawley, Middlesex, by Dorothy, daughter of Sir John Crofts of Little Saxham and he was the younger brother of John Bennet, 1st Baron Ossulston, his sister was Elizabeth Bennet who married Sir Robert Carr. He was baptized at Little Saxham, Suffolk, in 1618 and he gained some distinction as a scholar and a poet, and was originally destined for holy orders. In 1643, he was secretary to Lord Digby at Oxford, subsequently, he took up arms for the king, and received a wound on the bridge of his nose in the skirmish at Andover in 1644. The scar resulting from this wound was prominent because Arlington took to covering it with black plaster and he was said by some to have been the father of an illegitimate child by Lucy Walter. In March 1657, he was knighted, and the year was sent as Charless agent to Madrid. On his return to England in 1661 he was keeper of the privy purse. One of his duties was the procuring and management of the royal mistresses and he represented Callington from 1661 till 1665, but appears never to have taken part in debate. He served subsequently on the committees for explaining the Irish Act of Settlement, in 1665 he obtained a peerage as Baron Arlington, and in 1667 was appointed one of the postmasters-general. Elisabeth was the daughter of Louis of Nassau, Lord of De Lek and Beverweerd, in 1665 he advised Charles to grant liberty of conscience, but this was merely a concession to gain money during the war, and he showed great activity in oppressing the nonconformists. He advised Charles in March 1673 to submit the legality of the declaration of indulgence to the House of Lords, and supported the Test Act of the same year, which compelled Clifford to resign. He joined the Dutch party, and in order to make his peace with his new allies, disclosed the secret treaty of Dover to the staunch Protestants Ormonde and Shaftesbury. Arlington had, lost the confidence of all parties, but the motion for his removal, owing chiefly to the bad influence of his brother-in-law, the popular Lord Ossory, was rejected by 166 votes to 127. 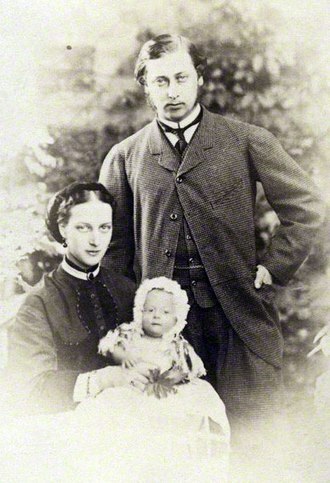 William Nevill, 1st Marquess of Abergavenny KG MVO, styled Viscount Neville between 1845 and 1868 and known as The Earl of Abergavenny between 1868 and 1876, was a British peer. 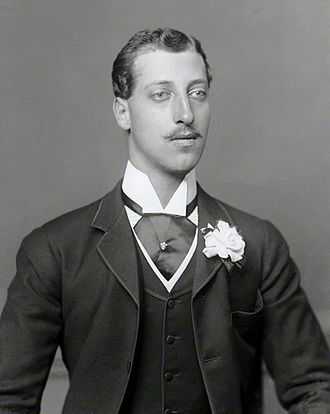 Neville was the eldest son of William Nevill, 4th Earl of Abergavenny, by Caroline Leeke, daughter of Ralph Leeke, of Longford Hall and he became known by the courtesy title Viscount Neville when his father succeeded to the earldom in 1845. 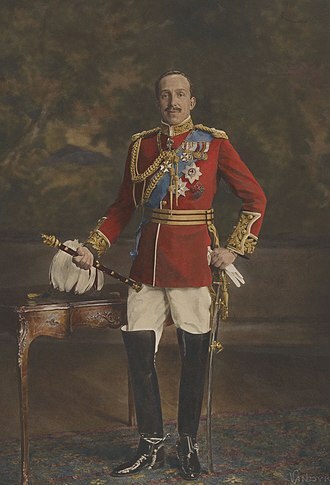 Lord Abergavenny gained the rank of Lieutenant in 1849 in the service of the 2nd Life Guards and was honorary Colonel of the West Kent Yeomanry and, from September 1901 and he was a Justice of the Peace for Kent and Monmouthshire. 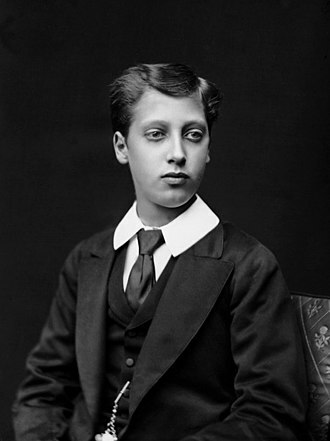 He succeeded his father in the earldom in 1868, on 14 January 1876 he was created Earl of Lewes, in the County of Sussex, and Marquess of Abergavenny, in the County of Monmouth. 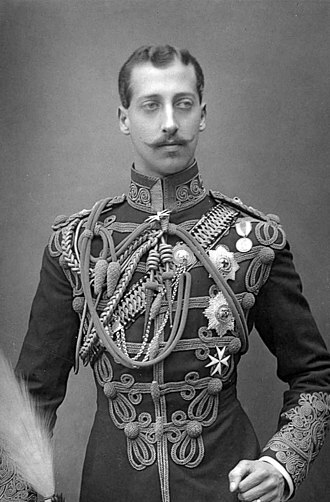 He was further honoured when he was made a Knight of the Garter in 1886 and they had ten children, Lady Cicely Louisa Nevill, married Colonel Charles Gathorne-Hardy, son of Gathorne Gathorne-Hardy, 1st Earl of Cranbrook. The Marquess of Anglesey at Waterloo, by Jan Willem Pieneman. The Marquess of Anglesey by Henry Edridge. The Duke and Duchess of Connaught with their children in 1893. The wedding day of Prince Arthur of Connaught and the Duchess of Fife. The family of Henry VII, depicted on an illuminated page. Henry FitzAlan, 19th Earl of Arundel, in a portrait from the 1560s. Henry FitzAlan, 19th Earl of Arundel, dressed as a Roman Emperor, by Hans Eworth, 1550. "The Tory bloodhound". Caricature of Lord Abergavenny by Ape published in Vanity Fair in 1875. Portrait by unknown artist in collection of Trinity College, Cambridge, purchased 1691. Silver groat or 'voetdrager', struck under Albert of Bavaria. Mintplace: Dordrecht 1389-1404.